The Middle Distance is a mosaic based on a sketch Gary made whilst travelling in Jordan in the Middle East. Gary sketched the man while sitting in a coffee bar, the man was lost in thought, staring into the middle distance. 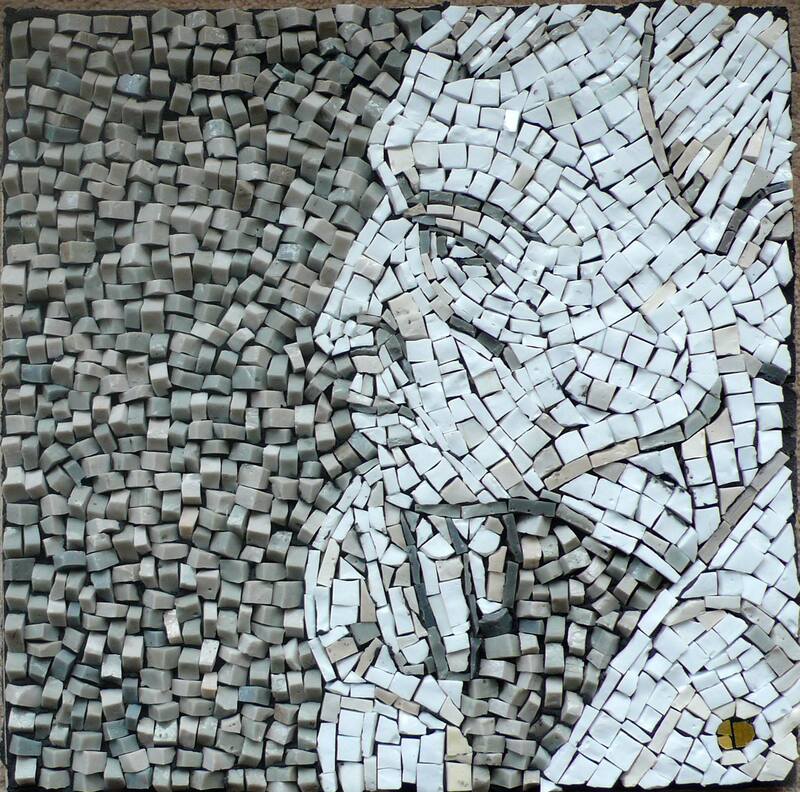 Gary’s idea in this mosaic was to keep some of the freshness and essence captured in the original sketch. The mosaic is made in Venetian glass smalti and uses an inventive and contemporary technique in the background where the mosaic tesserae are set in the mortar bed at a forty-five degree angle. The artist did this to add a different depth to the space which the figure is absorbed by.